It’s time for the President’s third ‘State of the Union’ speech, in which He addresses the masses from on high, laying out His latest Plan For Us. The BBC will surely be right there to tell you what to think about it. To prepare for the propaganda coverage, a review of the previous SoU speeches and BBC reporting should help set the proper perspective. His first SoU was greeted with lavish praise and much coverage. Understandable up to a point, I suppose, because it was the first one by a non-white. I have yet to figure out how His policies were supposed to be different or even superior due to skin color, but never mind. At the time, the BBC highlighted His Jobs Plan. This was in January 2010. Unemployment was already a problem, the economy was in the tank, and yet the President wanted to ramp up the spending of money we didn’t have. The BBC noted that Republicans were concerned about that, but made sure to tell you how important His Plan was anyway. Richard Lister had the gall to tell you that the President was all about job creation and deficit reduction, and his BBC News Online colleagues helpfully pointed out that $20 billion in savings had already been “identified”. As we all know, this was utter nonsense, as unemployment is even higher now than it was, as is the country’s debt. No savings, no jobs came as a result of his historic speech, or any alleged plans laid out. The BBC did fret, though, that Sen. Kennedy’s death and the loss of the Democrat super-majority was an obstacle for the President’s “sweeping legislative agenda”. More ridiculous was the way Lister told you the President was trying to be a uniter, to get both political parties to work together. How convenient after losing that super majority, eh? No mention ever on the BBC of His “I won” dismissal of a Republican objection to His Plan. Some Presidents choose bi-partisanship, others have it thrust upon them, I guess. US President editor Mark Mardell said that, aside from all that, the success of His economics plans would be what “really drive the voters’ perception of him.” Of course, now that we know His plans have only made the economy worse, Mardell keeps telling us that none of this is His fault. Any lack of progress was due to Republican intransigence, which is basically the Narrative the President set up in His speech. Mardell also enthused to his colleagues at the BBC College of Journalism last September that the President was “the last Keynesian standing”, and that he and the British public felt this was the way to go. How’s that working out now, Mark? In the 2011 SoU, we got the same story. The anonymous Beeboid who wrote that article could have copied and pasted much of the talk about debt and spending from the 2010 reporting, so little had changed. The only difference was that Congress was now horribly divided thanks to the evil Tea Party pushing the Republicans to take control over the House of Representatives. So of course everyone must work together to advance His Plans For Us, right? Remember, His Plans are correct, and the Republicans just want to block them. You’re not permitted to wonder if maybe they’re right and He’s wrong. The bit about how He was going to spend money on green energy to boost the economy is particularly aggravating, considering how He actually threw billions down the Green toilet to failed or failing companies mostly run by His Democrat moneymen. The BBC has censored all of that, of course, so those who trust the BBC for their news on US issues have no idea that anything has gone amiss since last year. Mardell, though, was not inspired. And it made him a little sad. He acknowledged the President’s staunch defense of His economic plans, even going so far as to say that the President wasn’t really calling for bi-partisanship but was actually throwing down the gauntlet. That’s not the kind of soaring rhetoric Mardell was hoping for, so he was disappointed in the speech even though he agreed with its underlying theme. No surprise that the President has since spent the last year attacking His enemies and trying to spend even more money we don’t have, with precious little to show for it. How long, BBC, before we’re allowed to blame Him for the economy instead of the excuse that He inherited a bad situation, and it takes a long time to recover? The UK economy is pinned squarely on David Cameron, even though he’s been in office only half as long, and also inherited a bad economy. The double standard is glaring. By the way, how is ObamaCare working out, BBC? Any thoughts on how small businesses are being strangled by the looming cost burden, costing us more jobs? ZZZzzzzzzzz. As a setup for tonight’s SoU, we get another dishonest attack on Mitt Romney’s wealth and tax payments. Once again, no mention whatsoever that the majority of his earning is from capital gains, which are – by federal law, whether one agrees with that law or not – taxed at 15%. Which is what he paid in 2011. The figure in the headline is from 2010, and he paid a slightly lower rate because of legal tax exemptions. Sure, they link to his tax return document, but all that shows is income, not the rules. 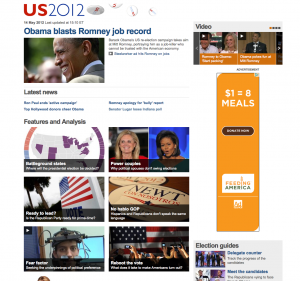 Most people who read this will see only that Romney made an enormous amount of money. But if you don’t know the law, the perception you get – the one the BBC wants you to have – is that he’s getting away with blue murder. The reason those tax laws exist is a topic for another discussion. Romney, though, is not paying low taxes on regular wage income, which is taxed at a different rate. It’s very dishonest for the BBC not to differentiate between the two. This is all a setup for what they know will be in tonight’s speech. Typical BBC. The myth of income inequality is BBC dogma. Is Mark Thompson’s enormous salary part of the problem as well, I wonder? 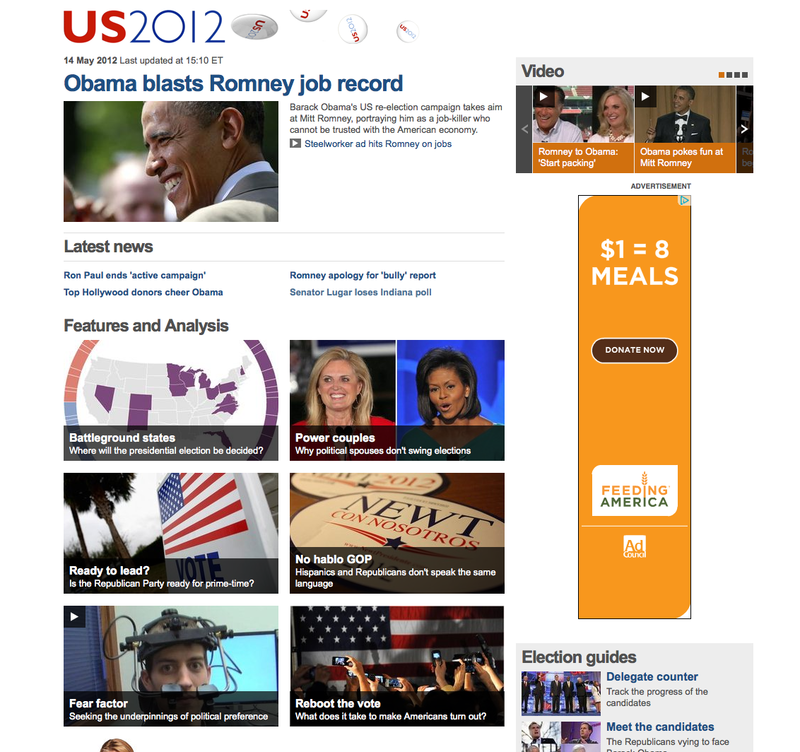 Still, the BBC wants to remind you that the President believes that Romney’s situation is unfair. But the issue has reignited the debate in the US over how investment income – in particular carried interest, the profits that private equity managers make – is taxed. President Obama has said such income should be taxed at a higher rate, and that wealthy Americans and corporations should pay more tax to help trim the country’s deficit. The issue hasn’t reignited anything, as we’ve only been talking about it all over the damn place for the last six months ever since the Occupy Wall Street crowd started their noise. Perhaps the BBC means that it has reignited the Occupiers’ message? Either way, it’s just a useful cudgel with which to bludgeon His opponents. It has nothing to do with Romney’s ability as an administrator or his policies on anything at all. But that’s the point of this Narrative, isn’t it? By the way, do the President’s opponents ever point out that even if we taxed the super-rich until they bled, it wouldn’t even put the tiniest dent in the deficit? No, of course not, because taxing them even more isn’t really about fixing the economy: it’s about revenge. Will the BBC discuss how the President’s Plans haven’t worked? Or will they continue to blame others and hope you forget all about the past? Watch out for tonight’s speech. And watch out for the BBC Narrative.